Sadly, during this presidential election, we’ve witnessed adult meltdowns among friends and relatives who found it difficult, even impossible, to disagree politically and remain friends. Many tell stories of family members disowning them. Political disagreements turned personal. And it isn't just political disagreements that can lead to divisiveness. I have family members who keep their distance because I’m a Christian. You probably do too. We all have a right to our beliefs, but it shouldn’t end our relationship, our friendship, or our family ties. Friendships should be a safe place to disagree. If you have a variety of friends, you’re going to have a variety of differing opinions. You can learn from each other. In our couples’ small group, we get into some heavy exchanges of opinions, but we always know at the end of group we’ll pray, have dessert and coffee together, and leave as friends. 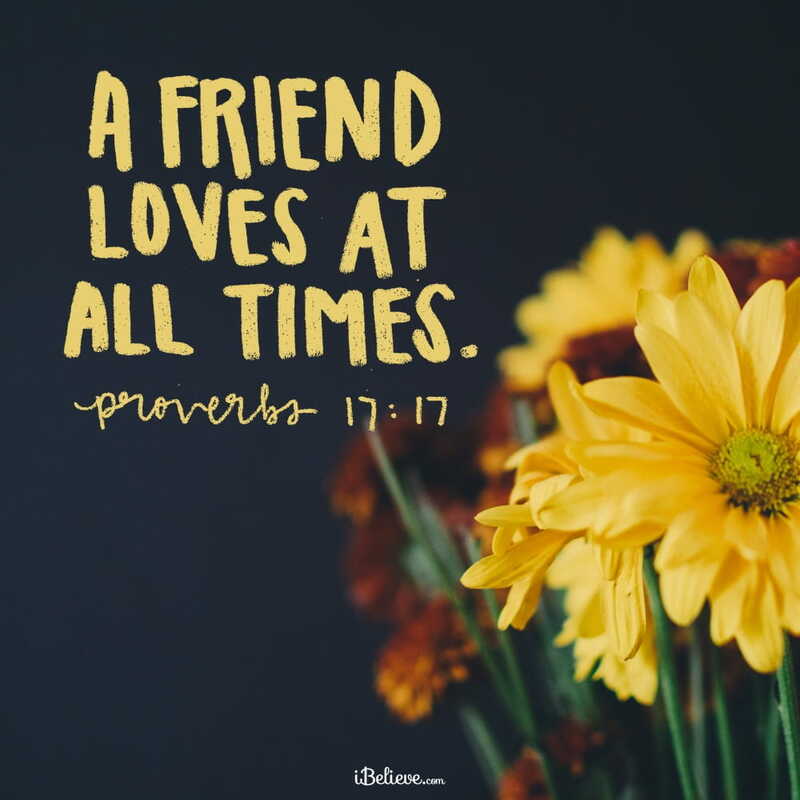 After one evening of especially heated discussion, one person prayed that they were grateful we respected each other enough that we could express our thoughts openly, but still maintain our friendships. We’re still friends in Christ, even though we disagree on some spiritual issues. We get into disagreements because we want the other person to acknowledge we’re right. Sometimes we care more about being right, than “our truth” helping the other person. My granddaughter was trying to share Jesus with two friends of a different faith, and they ended up in a disagreement. I asked my granddaughter whether her motivation was compassion for her friend’s salvation or wanting to be right. If it was their salvation, she should speak with passion about how much she loved Jesus and He loves her. If she just wanted to be right, she probably focused more on how wrong their faith was and that made them mad. She agreed she would be far more effective showing them Jesus’s love than trying to win an argument. Our friends and family will know the love of our Jesus through the love we show them. Lord, Satan is trying with all his might to divide your house and your people. We pray Lord with all our might that we would not let that happen. That we would remember that a house divided cannot stand. Help us to be the peacemaker in our relationships, friendships, and families, without bending or compromising on the Truth. And Lord, if it must be that there are those who choose to no longer be our friends or in relationship with us, guard us against a bitter heart and remind us to pray for a softening of their heart. In Jesus name, we pray. Amen. Editor’s Note: Content taken from “You Can Disagree and Still be Friends” by Janet Thompson. You can read that piece in full here. All rights reserved.